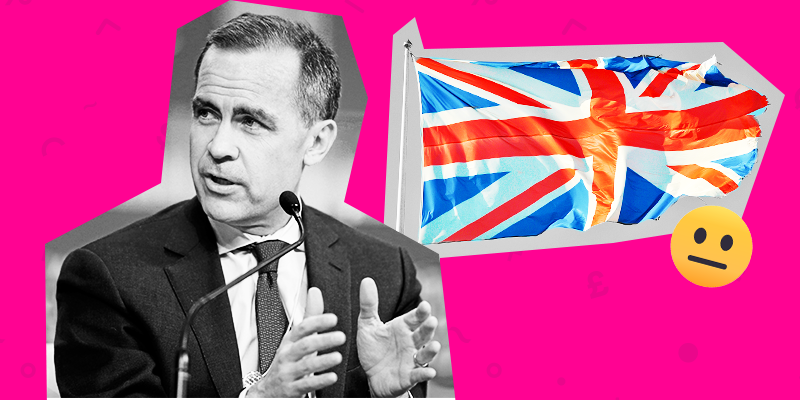 Bank of England Governor, Mark Carney, has a delicate line to walk today at the UK’s first policy briefing for the year ahead of one of the most important decisions in the country’s history. No pressure, Mr Carney! Having whipsawed between the possibilities of a no-deal, deal or no Brexit at all, uncertainty is running at an all time high and investors will be looking to the BOE for stability. The focus of today’s meeting will likely revolve around the latest doomsday forecasts and countermeasures in the event of a deal or no-deal outcome. In terms of a policy outlook, investors are pricing in a hold on rates for today so that the BOE has more room to shift policy in line with the Brexit outcome…whatever it may be! Holding rates steady gives Carney the flexibility to raise rates in the event of a deal to align the economy closer with more neutral rates. Conversely, in the event of a no-deal catastrophe he has the option to lower rates to boost consumption and offset some of the short-term damage to the economy. The pound has slipped from its January highs and may continue to slide into next week with the high likelihood of a pause in rates. The same sentiment was felt in the fixed income market as yields on the UK 10yr bond have fallen to a monthly low. Best of luck Mr Carney, it’s not going to get any easier from here! 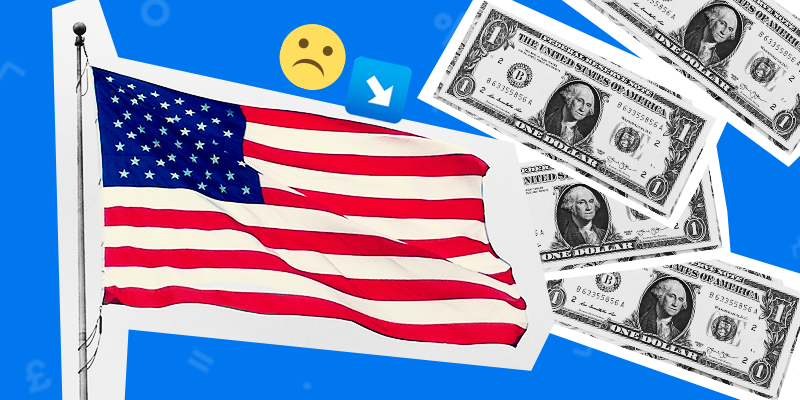 The US put a dampener on what was turning into a significant run of form in emerging markets yesterday with a possible return to the shutdown and a strengthening in the Dollar. But they won’t be held down for long! The Dollar climbed for a sixth straight session today, putting the brakes on global stock markets’ recent expansion which has recovered some of the massive losses suffered in October – December. In particular, emerging markets, such as Brazil, China, India and South Africa took a significant downturn as their dollar-denominated debt ballooned in size. Asian investors were also hamstrung by market closures in light of the Chinese New Year celebrations. The returning likelihood of a government shutdown forced major emerging market indexes, currencies and ETFs to shed a few percent yesterday with risk and investor uncertainty rising across the board. But it’s not all doom and gloom for emerging markets. Although trade talks have been placed on pause for China’s celebrations, discussions are due to resume next week and many investors are speculating about a potential deal emerging in the not too distant future. A breakthrough in negotiations could very well be the catalyst that re-ignites investor confidence in emerging markets, offsetting the stronger Dollar and prolonging the post-December bull run. So, even though pressure is on for now, your favouritie emerging market picks may be back sooner than you think. Twitter is the next social media company to post its earnings week full of surprises. 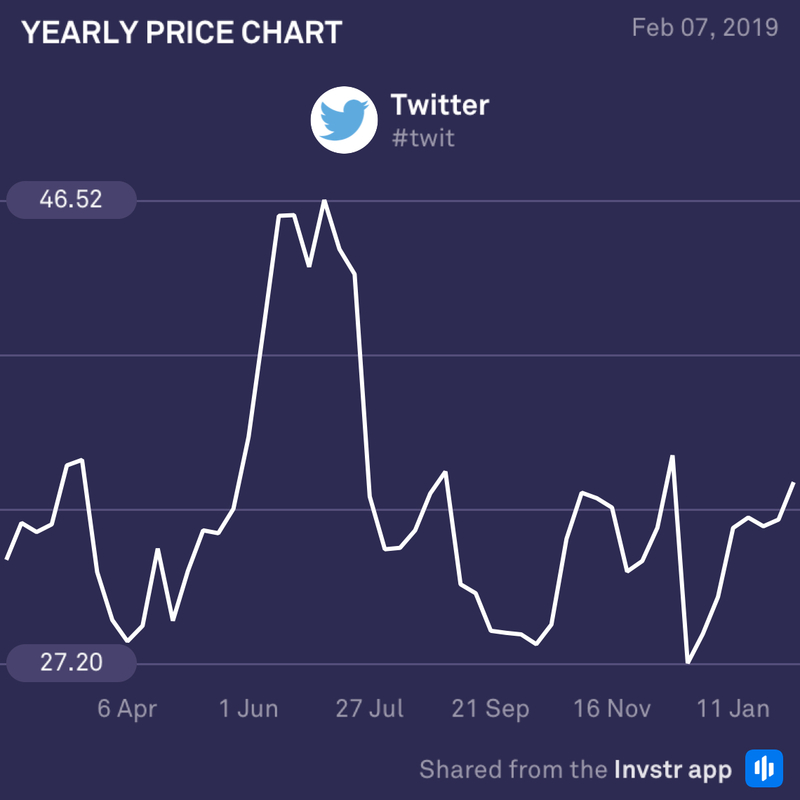 After Snap’s massive earnings beat, many investors assumed the positive sentiment would filter into Twitter’s share price which it largely has not. Analysts remain uncertain about its prospects for an earnings beat with only negative earnings revisions coming forward in the lead up to today. But if anyone could pull out a surprise it would be Twitter! The consensus EPS estimate is $0.25 (+31.6%) on revenue of $873 million (+19.3%). 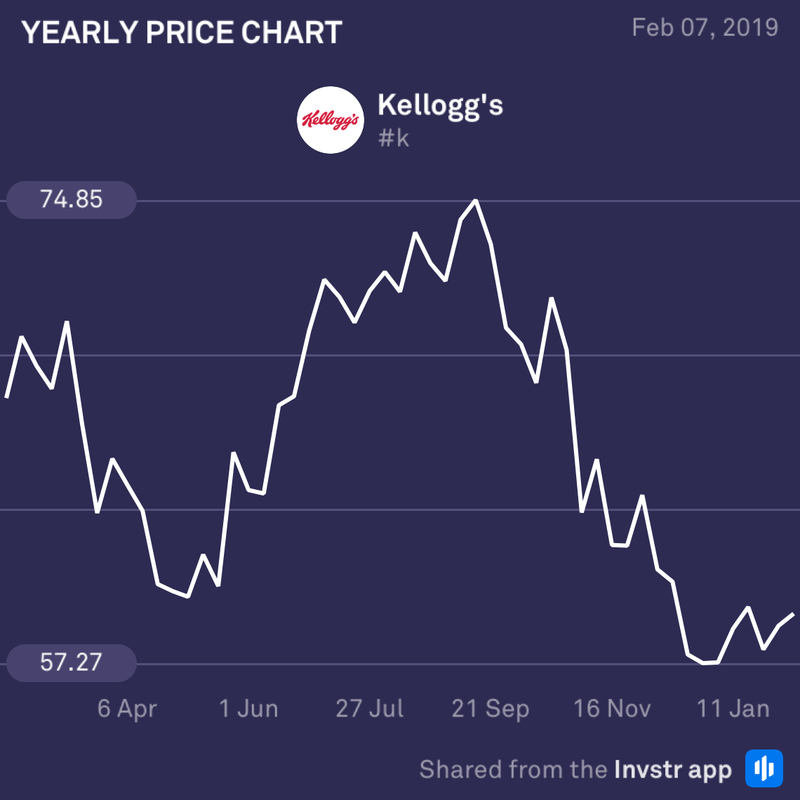 Kellogg’s is looking shaky today having also received multiple downgrades ahead of its earnings announcement. The core issue remains its cost structure and profit margins which were the primary issues in its most recent earning report. The share is currently down 12.15% over a 52 week period and may have more doenside to come unless it restructures some of the more cumbersome sectors of its business. the EPS estimate is $0.83 (-8.3%) on revenue of $3.32bn (+6.8%).